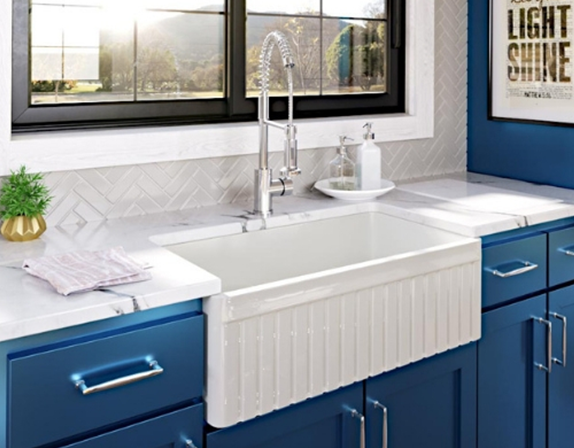 When it comes to choosing a paint color for your kitchen, it’s important to ensure the color coordinates well with your flooring and counters. 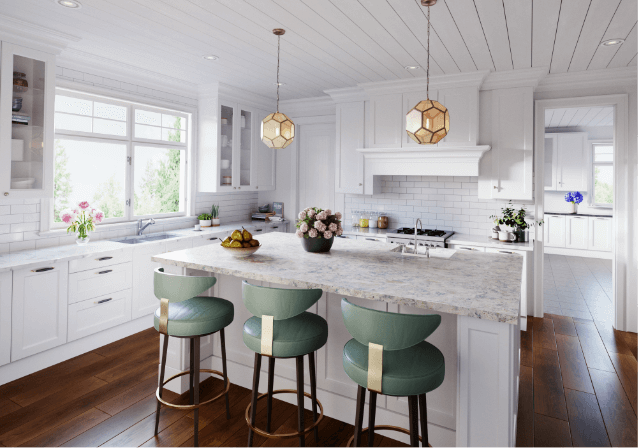 If you plan to sell in the near future, it’s especially crucial to make sure you’re choosing a trendy color that won’t go out of fashion any time soon. So what trends does 2019 hold? 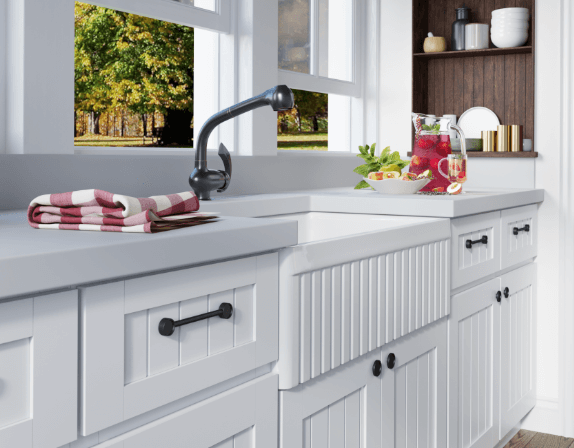 Read on to see this year’s top cabinet paint colors! Easter is right around the corner! If you’re thinking of having family over to celebrate this holiday together, consider some of these fun twists on traditional Easter activities to keep your guests entertained. The kitchen is the heart of the home, where family comes together. With the right organization, it can also be a relaxing and motivating space to explore your creativity and entertain your loved ones. 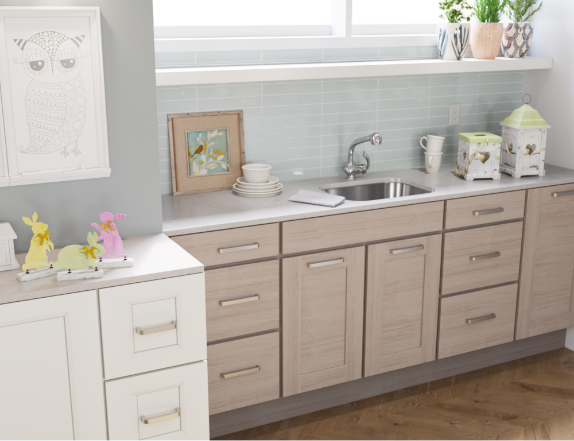 A disorganized kitchen can quickly become a stressful work environment. Spring is in the air, and with it comes the desire to get outside more. 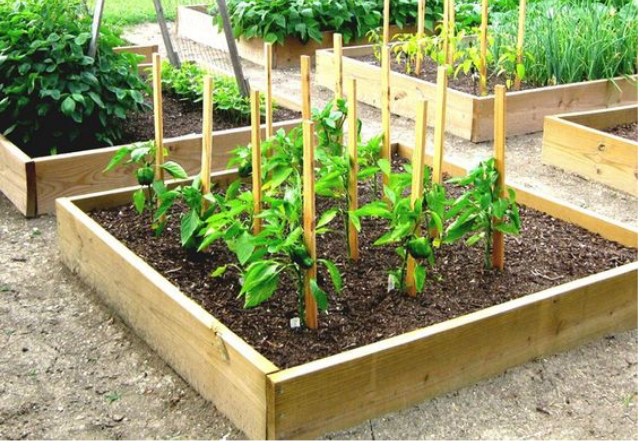 Maybe you have been thinking about turning an area of your yard into a garden for a while. After all, a garden is a beautiful natural space to relax and unwind in. It also gives you the ability to literally enjoy the fruits of your labor. Hopefully, after reading these starter tips, you will have the motivation to dig right in, and start planting! Don’t know where to begin tidying up for spring? Cleaning your home may seem like a tedious task, but with the right game plan, your home will be bright and shiny in no time! We’ve taken the liberty of compiling a list for you to use, so no stone will be left unturned. In terms of the ambiance of your home, natural light can transform the appearance of a room. Many architects and designers seek well-lit spaces because they're more aesthetically pleasing and appear to be larger. Seriously, what's not to love about a little sunshine streaming through your windows? 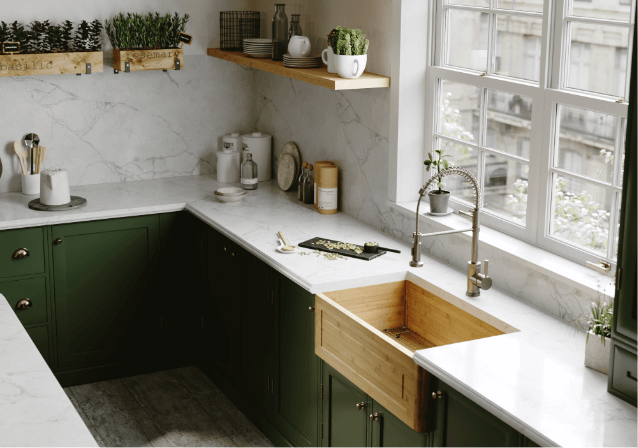 If you’re in the market for a kitchen sink that will work hard, last a lifetime, and make a bold statement, a fireclay apron sink just might be what you’re looking for. 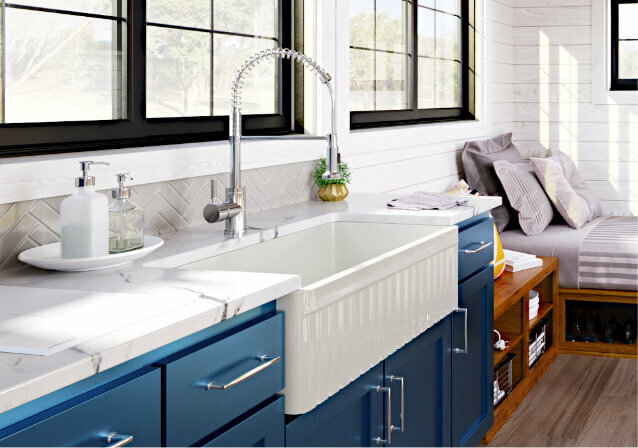 Match a fireclay sink with practically any style of kitchen, from modern to traditional and everything in between. Adding some greenery to your kitchen always freshens up the space. This may be especially needed toward the end of a long dreary winter season, when outdoor gardening is less fun. Plants bring in oxygen and clean the circulating air in a room. Plus, having fresh herbs and some vegetables on hand means you’re more likely to want to cook with them, which will motivate you to cook healthier and more often! 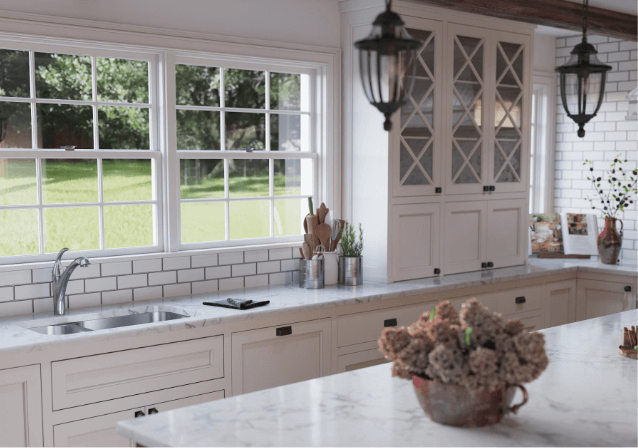 When you start researching how to spruce up your kitchen, you quickly realize just how expensive it can be. These days, you don’t need marble countertops or all stainless steel appliances to make your kitchen look high end. 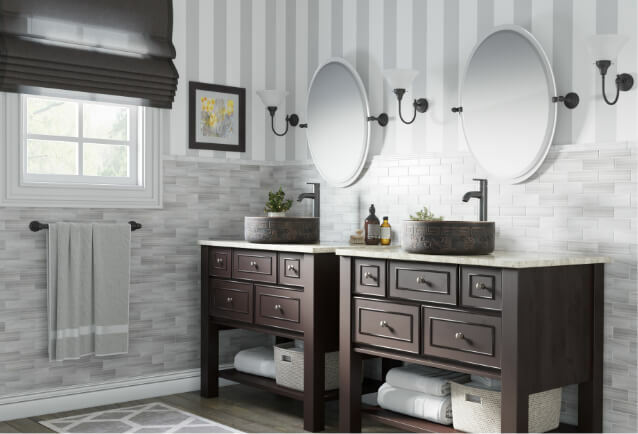 If you want the look for less, these tips will spruce up your space without overspending on time and money. Are you ready to undergo one of the biggest changes in your home? 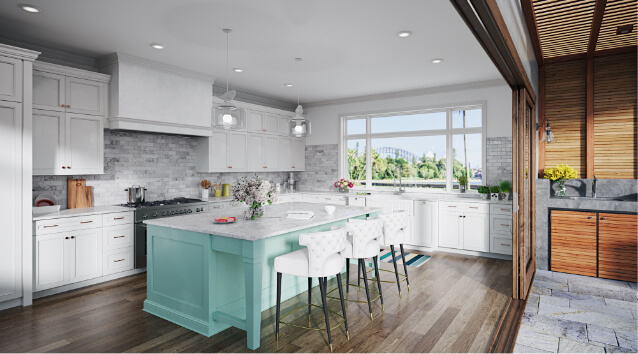 That’s right, a kitchen renovation is one of the most exciting and dramatic changes that can be made. 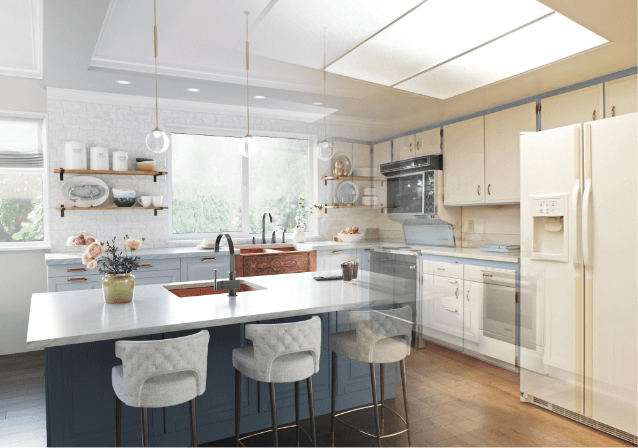 It can also be stressful and expensive, so to make sure your renovation goes right, we’ve compiled a handy list for you to consider before embarking on this journey. This is the year to learn to bring joy into the more hectic parts of our lives. Perhaps you want to have guests over more often, or just make more meals for yourself at home. 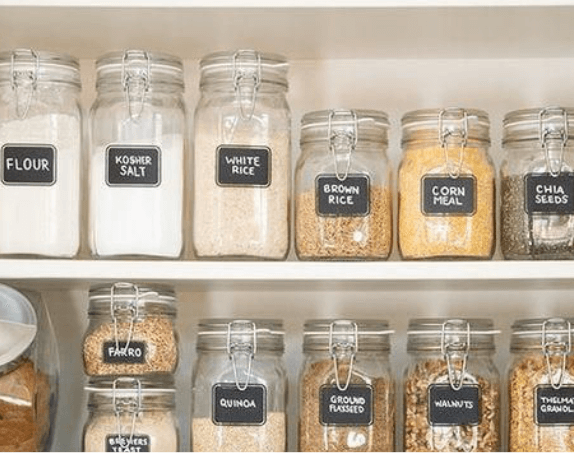 If you want to create a cozier environment in your kitchen and more easily enjoy the time you spend there, here are some quick and easy adjustments to help soothe your frazzled soul.